GSS’s electrical design and drafting group has vast experience designing and creating detailed control systems for a variety of paper handling systems. Our experience come’s from years of designing, developing, and testing a variety of equipment in the printing industry. 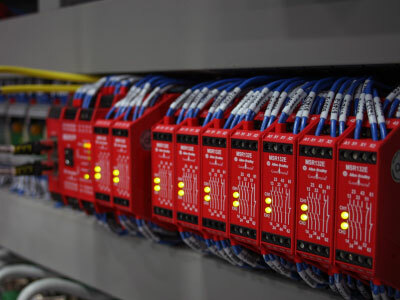 That experience and proven results works for you to create a complete electrical design for your system. Graphic Systems Services’ electrical design and drafting team takes many years of experience from across the print industry in each design. GSS has developed new offset presses, rebuilt older equipment, and is an industry leader in inkjet integrations and finishing equipment. Contact us today to speak with an expert.